As the name suggests, bitter gourd is bitter on the taste buds and hence, is excluded from most meals. But this does not deprive it of certain health benefits. Known for its acquired taste, bitter gourd is also referred to as a ‘balsam pear’ or ‘bitter melon’. Similar to a cucumber in appearance, the bitter gourd is distinguished by ugly gourd-like bumps all over its body. There are two varieties: one that is oblong, pale green and grows to 20cm in length, and the other which is relatively smaller, measuring 10 cm, oval and dark green in colour. Botanically known as Momordica charantia, bitter gourds belongs to the Cucurbitaceae family, which includes cucumbers, squashes, luffas and melons. Since these vegetables can thrive in hot and humid climates, they are mostly cultivated in the tropical parts of the world such as Africa, Asia and South America. Although it has a bitter taste, this vegetable is enriched with several nutritious benefits that improve overall health. Check out some useful information about bitter gourds in the following sections. Native to tropical Asia, the bitter gourd has a long history dating back to about 600 years in China. 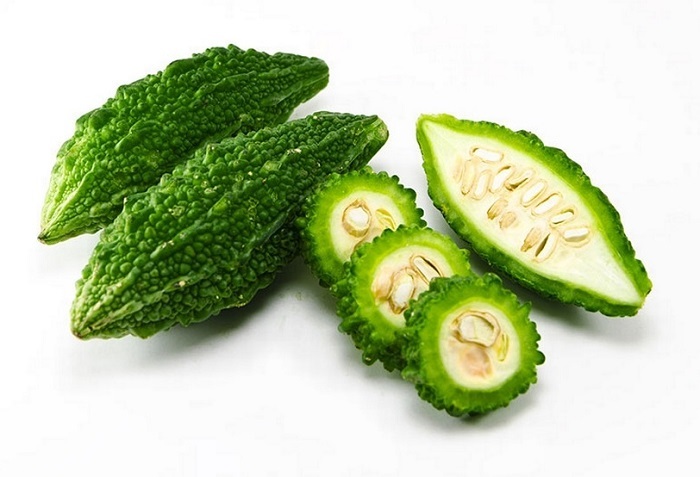 The Chinese associated the bitter gourd as a beneficial vegetable for medicinal purposes, particularly for those suffering from diabetes. Additionally, it was used as a folk remedy for curing tumors, asthma, skin infections, GI problems, and hypertension. Not just China, the medicinal benefits of bitter gourd were highly treasured in India, Africa, and southeastern US as well. It is widely spread across tropical, subtropical, and temperate regions. Today, this bitter yet healthful vegetable is commercially cultivated in China, Taiwan, Vietnam, Thailand, India, Philippines, Malaysia, South America, and the Caribbean. 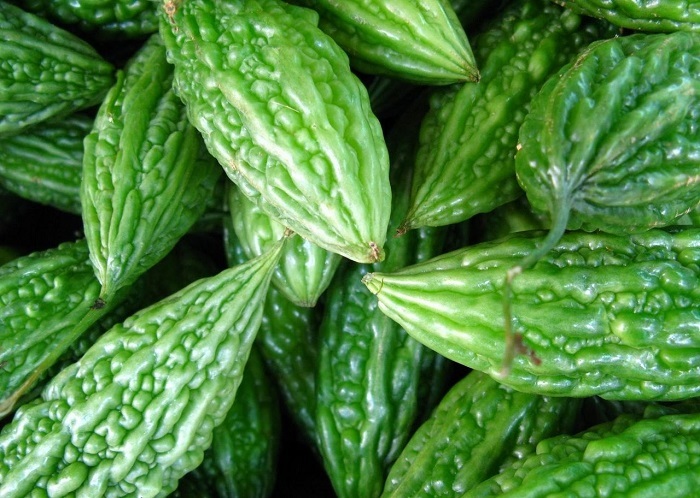 Due to its hypoglycemic action, bitter gourd makes an excellent remedy for diabetes. The insulin-like peptides, alkaloids, and charantin combine to lower blood and urine sugar levels without increasing blood insulin levels. The blood purifying properties of bitter gourd deem it to be an ideal treatment for blood disorders like blood boils and itching due to blood poisoning caused by bacterial toxic substances in the blood. Fresh juice extracted from bitter gourd is beneficial for people suffering from piles. All you need to do is prepare a mixture of bitter gourd juice and buttermilk and have it every morning for about a month. Cellulose is a good source of fiber which helps in preventing constipation. Bitter gourd contains cellulose that acts as a great digestive agent and helps in stimulating the secretion of gastric juices. This, in turn, helps people suffering from dyspepsia. Bitter gourd encourages the liver to secrete more bile juices which are necessary for the metabolism of fats. Hence, if you are yearning for a perfect, slim figure, include loads of bitter gourd in your diet. Researches indicate that a glass of bitter gourd juice strengthens the immune system and increases the body’s power to fight against infections. Besides, it also improves the immunity of cell functioning in people suffering from cancer. Regular consumption of bitter gourd juice is known to stimulate the energy and stamina levels in the body, especially in people suffering from chronic fatigue syndrome. Bitter gourd is a known remedy for curing various skin diseases and skin infections, such as eczema. Not only it avoids the skin from developing blemishes, it also improves the glow and texture of the skin, ensuring that you do not develop any acne. It has also been acknowledged for successfully healing skin eruptions, chapped skin, burns, and hemorrhoids. Consuming bitter gourd juice on a regular basis aids in improving the condition of psoriasis and other infections of fungus, such as athlete’s foot and ringworm. Bitter gourd acts as an antidote for alcohol intoxication and promotes purification, restoration, and nourishment of the liver. The juice, in particular, is beneficial for treating a bad hangover. Diluting 2 ounces of bitter gourd juice with honey and water helps in fighting and improving pharyngitis, bronchitis, and asthma. By cleansing the blood and body from harmful toxins, bitter gourd helps in getting rid of jaundice, due to its highly beneficial properties. By stimulating the secretion of gastric juices properly, bitter gourd helps in enhancing the digestion process. To add on, it is used for treating intestinal worms, constipation, and diarrhea. Bitter gourd is considered beneficial for the overall health of women. Not only it helps in treating menstrual disorders and female genital tract related problems, it assists in secreting milk during the lactation phase after pregnancy. Bitter gourd has about 17 calories per 100 gm of weight. Select bitter gourds that are unripe and fir as the ripened ones are extremely very bitter. Young and immature bitter gourds can be used for cooking due to their bright green skin, white flesh and small and tender seeds. Avoid buying bitter gourds that have soft spots or have turned orange. This indicates overripe and mushy vegetables that can often split into segments that curl back, exposing the seeds covered in bright red. Wash the bitter melons in running cold water, once you bring them home. Dry them gently on paper towels and place them in a perforated plastic or paper bag.